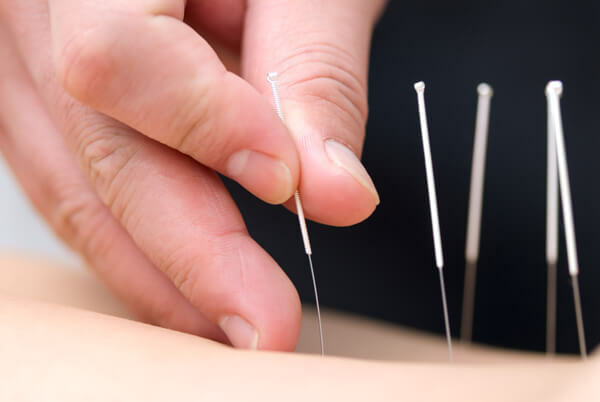 Acupuncture needles are very different to the hypodermic needles used in Western Medicine, they are not hollow nor do they slice through the skin and muscle. Instead, they have a conical shaped tip, parting the skin and muscle as the needle glides into the acupuncture point. This means that there is little to no discomfort when the needle is inserted. When Qi is drawn to the needle the patient can often feel a dull ache, though this may feel a bit uncomfortable, it doesn’t last long and indicates that the point is active. When the needle is withdrawn, due to its design, the skin then seals up behind it. Acupuncture needles are single-use, sterile and are all TGA certified. 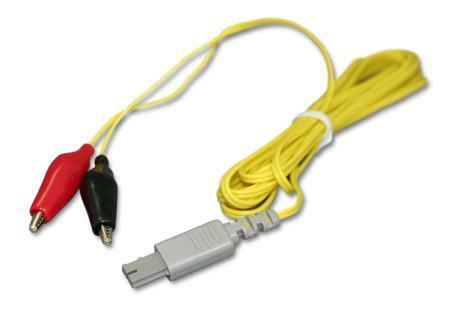 They are made from stainless steel which allows them to be incredibly fine (only 0.13mm-0.30mm thick) but also flexible and strong so they can even be tied in a knot and won’t break. Acupuncture works on rebalancing the Qi flow within your body and the meridians. By inserting needles into specific points on the body we can either remove blockages, or help redirect Qi to where its needed to restore balance to the body, to help reduce your symptoms. From a Western Medical perspective, it is believed to work on parts of the nervous system, which can then influence everything from reducing inflammation, to helping re-balance hormones. from either perspective the end result is the same, an attempt to return to equilibrium. The ear is what we call a microcosm of the body. All areas of the body are represented and can be treated through the ear. Just like in reflexology they use the foot or hand. Korean Acupuncture for example has over 300 points just on the hand. 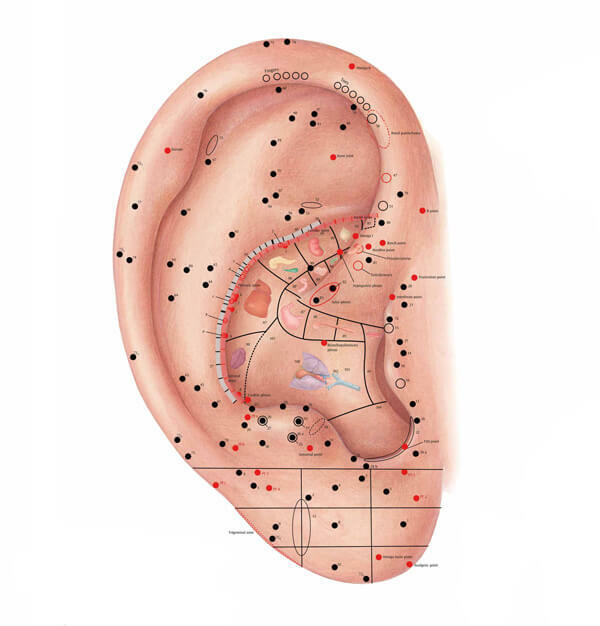 There are 100 commonly used acupuncture points on the ear. A lot of western research has been performed on Ear Acupuncture. The mechanism behind Ear Acupuncture is believed to be the ear’s close proximity to the brain, the large number of nerve endings in it, and the fact that it is the first sense organ to develop on a young fetus. 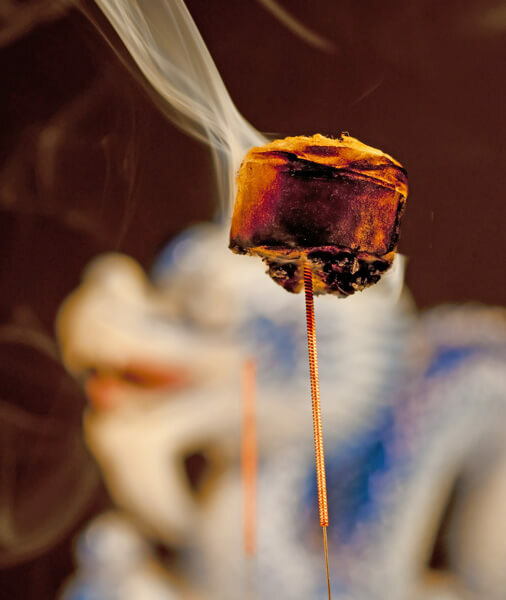 In Chinese Medicine, the ear has strong connections to your Kidney energy, which is the basis of life and long term health and fertility. Very fine needles are used to stimulate points on the ear, and little press tabs are stuck to the ear so the patient can massage the points whenever they feel stressed for example, to further benefit their overall treatment. Similarly to how people like to put wheat bags over their stomachs or shoulders when sore; the heat from the moxa travels down the needle directly into the acupuncture point to help provide additional warmth and movement to the local area. This is another way to help alleviate pain or help invigorate circulation in the case of shoulder pain or menstrual pain. A more modern method of treatment incorporating western technology. As a substitute for the practitioner constantly stimulating the needles over a long period of time. Small electrodes are attached to the ends of the needles to put a very faint electrical pulse between 2 acupuncture points. We often use this technique for pain and difficult symptoms which require a stronger treatment approach. The beauty of Electro-Acupuncture is we can fine tune the settings so you feel little to no sensation at all but can still have the desired effect, which is quite difficult with manual techniques. please note that Electro-Acupuncture cannot be used on patients who have a pacemaker or other electronic medical implants.